I got a new mouse and I love it. I have been using the brand new apple mouse and keyboard lately but the mouse has been bothering me. It has these side squeeze buttons that I accidentally use all the time. It is very frustrating. So I decided to buy a new mouse. 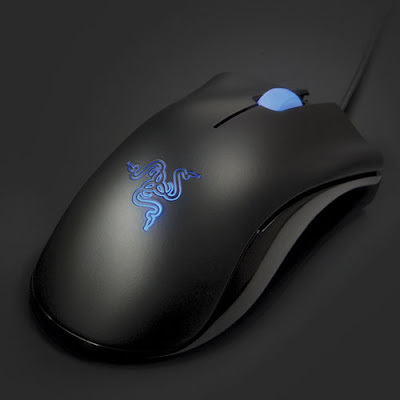 So I buckled down and purchased this Razer Death Adder because it was cheap at BestBuy (openbox). I bring it home and hook it up. Wow. This is the best mouse I have ever used. I have gone through many mice. This one takes the cake. It glides smoothly with its teflon feet, the feel of the plastic is warm and inviting, the precision and smoothness hasn't been matched by a mouse I've come across. I highly recommend purchasing this product.